Ivan doesn’t have a sword, but has his jousting lance instead. 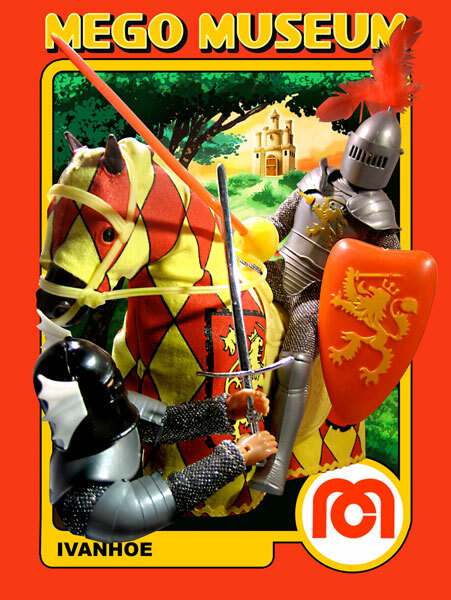 Ivanhoe is the only Mego to get his own Jousting Horse. Sadly, they were only produced in Europe. 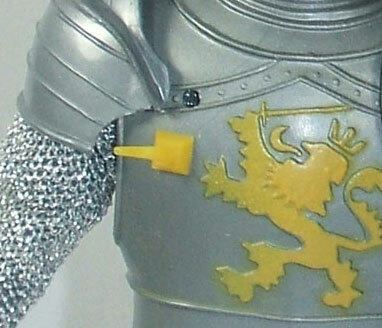 The little yellow hook-thing on his right breast is a lance rest, a standard feature on your better models of knight armor throughout history. 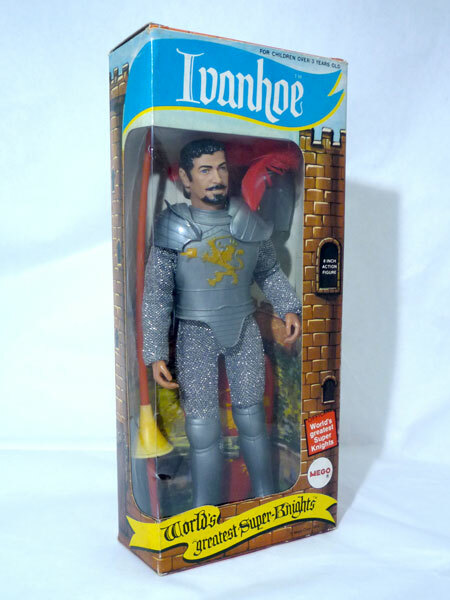 It seems clear that Mego’s Ivanhoe design was based on the costume and likeness of Robert Taylor in Knights of the Round Table (1953 MGM) in which he played Lancelot. Taylor played the title character in 1952’s Ivanhoe, but in less regal costuming. 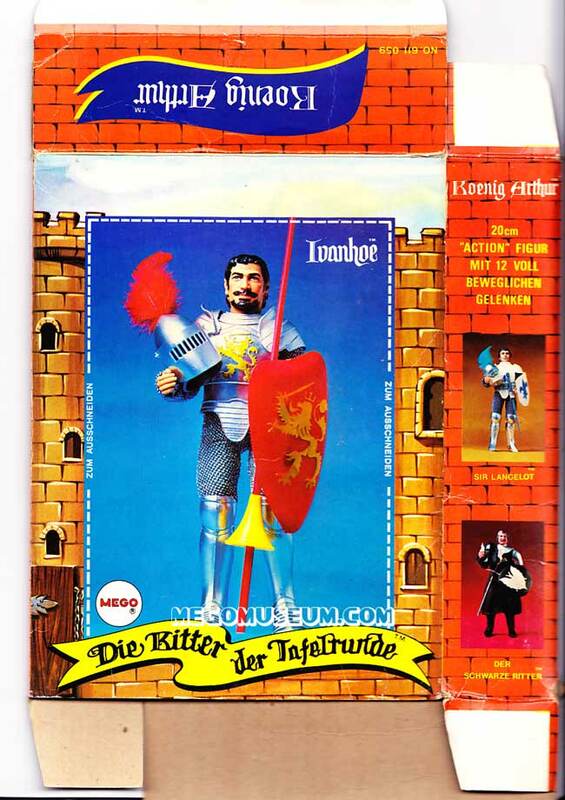 In Germany, four of the Super Knights were offered in two packs, Ivanhoe was packed with the King Arthur. Scan courtesy of Gerhard. 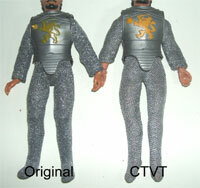 Ivanhoe wears a full body jumpsuit made of a silver chainmail looking material. 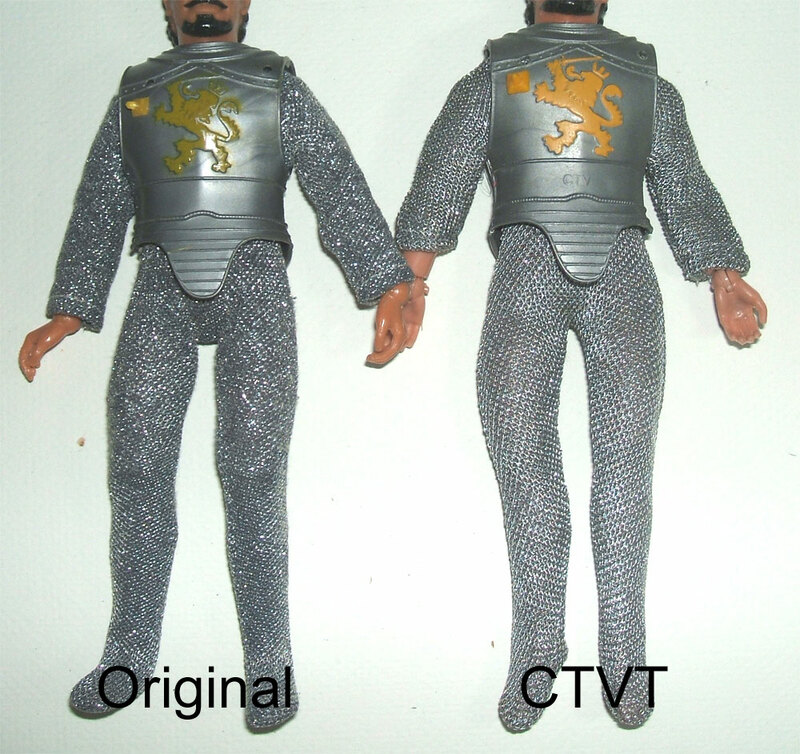 The jumper has been repro’d by Classic TV Toys. The material on the repro is a touch thicker and is sewn a little lower in the crotch. The sleeves are hemmed a little higher the suit is unmarked. Ivanhoe wears body armor with his lion crest on the front. The armor also has a lance rest. This rest is most often broken on an unpacked figure. The body armor isn’t removable without breaking the glued seal on the joints. The shoulder armor is removable though. 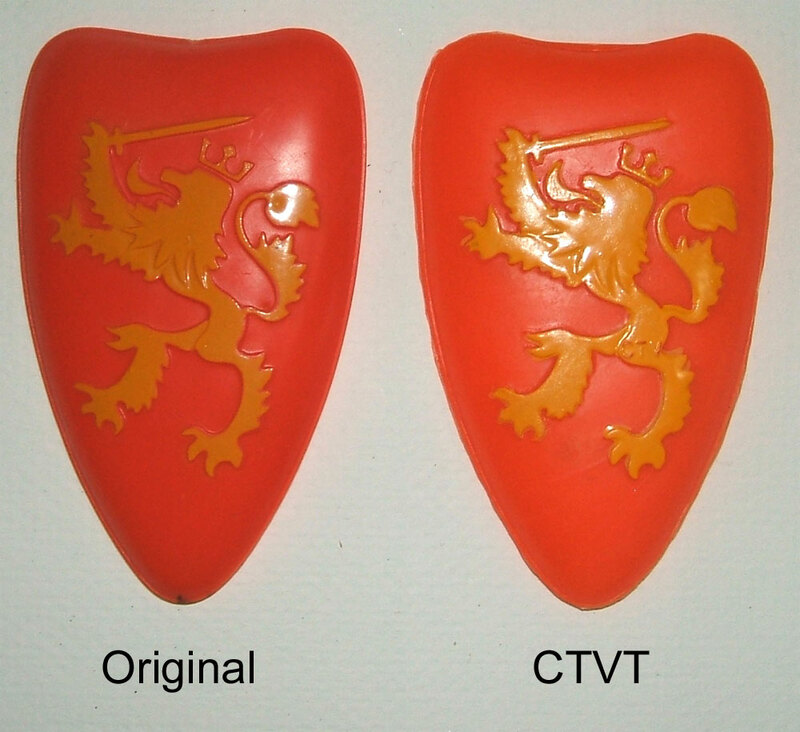 The armor has been factory reproduced by CTVT. The details are a little more rough around the edges. the lines are not as clean. The yellow color of the lion is a little more on the orange side of the spectrum and the lance rest is very short and stubby, not even close to the shape and size of the original, but much less breakable. The repro is stamped CTV on both the back and front around the waist line. Ivanhoe has removable shoulder armor attached to his body armor. Because Ivanhoe’s a jouster, he has a different guard on his right side than he does his left. The shoulder armor has been reproduced by CTVT. The reproductions are a little wider and are not as smooth around the edges and the lines in the detail are not as clean. These pieces are unmarked. 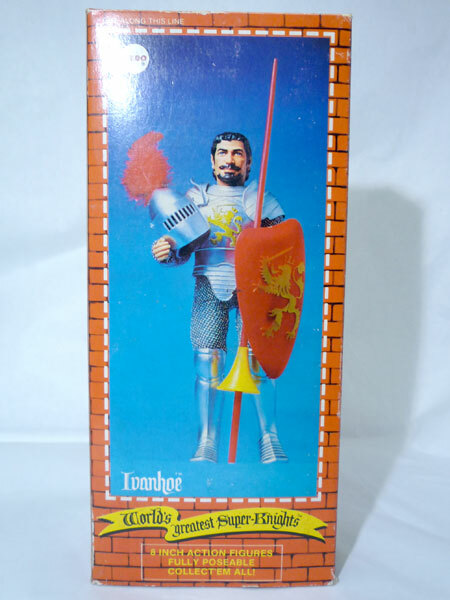 Ivanhoe carries an orange shield with his lion crest on the front. This shield has been reproduced by CTVT. The reproduction is a slightly brighter orange, where the original is a little more on the red side of orange. The yellow emblem is closer to orange on the repro and the handle on the back of the shield is prone to falling off much easier than an original. 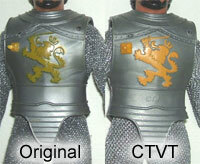 The shield is stamped CTV on the hip of the lion on the crest. Ivanhoe wears a helmet with a removable visor/face guard and red feather. 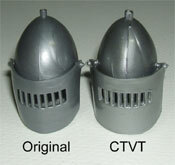 This helmet has been reproduced by CTVT. The reproduction helmet has more flashing evident, especially noticable in the slits on the visor. The helmet itself is unmarked, but the detachable visor is stamped CTV on the inside. Ivanhoe wears the same rounded toe boots as Galahad. 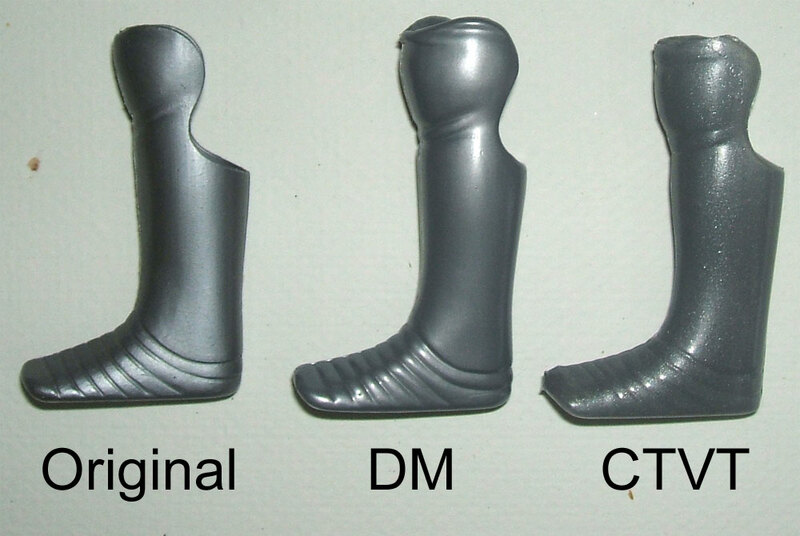 The boots have been reproduced by both Doctor Mego and CTVT. Doc’s boots are a little bigger in size and thicker in material. They are also a little more gray than silver compared to the originals and are marked DM on the bottom. 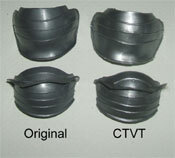 The CTVT boots are also larger in size. They have a speckled look to them and are marked CTV on the side of the knee area. Ivanhoe is the only knight to carry a lance. This lance has been reproduced by CTVT. The repro lance is more a pure orange where the original leans toward the red side of orange. The shield on the lance is darker and more on the orange side of yellow than the original. The repro lance is unmarked. 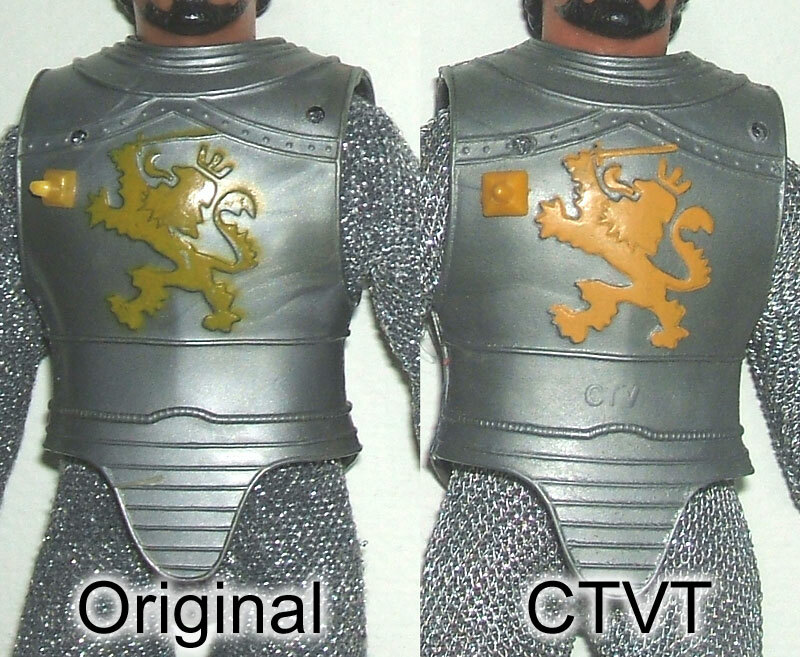 Ivanhoe’s head has been reproduced by CTVT and pretty accurately. 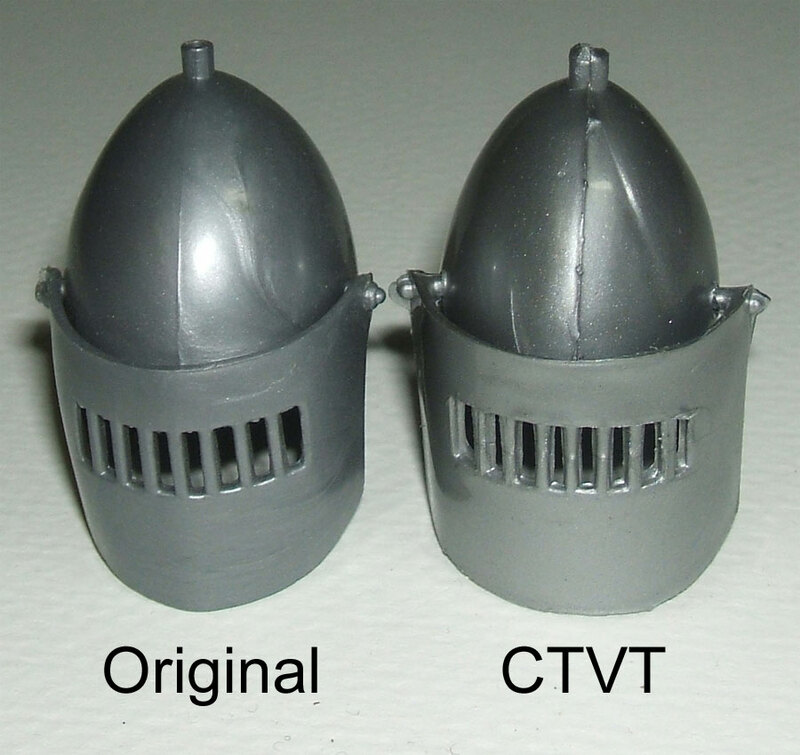 The biggest difference really is the material, the CTVT head is softer and more squishy. 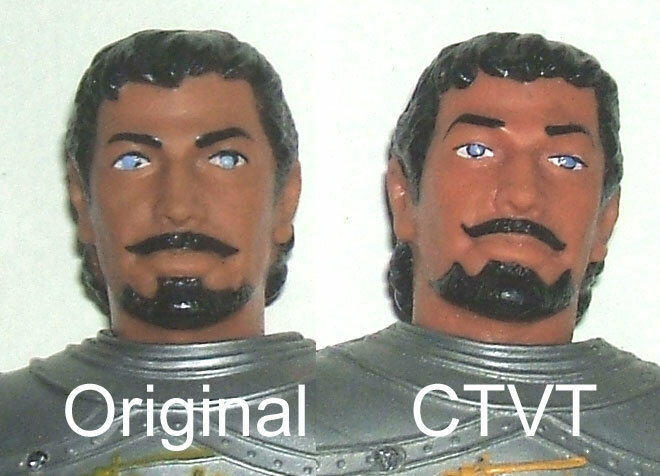 There are some subtle paint differences between the two, mostly in the beard and eyebrow areas. The repro is unmarked.